Team work – makes the dream work! I learned a thing or two about the Nanny world. I’m quite sure there is more to come though, but I really appreciate every position and all the things I can be wiser for after. Coming to the private setting from Nursery environment was definitely different, but I quickly settled in to this special work place and I wouldn’t change it for the world. Nanny life can be quite a lonely place. In nursery there is always a huge collective of (mostly women unfortunately), who can share their ideas, thoughts and help each other. You have so many opportunities to do different seminars that are furthering your knowledge and there is a lot of children, with many personalities and that makes it super fun an keeps you on your toes. I have been very lucky that in my years of Nannying I could still work alongside other Nannies or Maternity Nurses, and made great friends with so many. If your mind is open you can learn a wealth of knowledge from other professionals in your line of work. Plus, there is nothing better, than a really good team that supports each other. I also came across a very small percentage of carers who are really hard to be working around. What I always try and remember is, that I work for the benefit of the children I look after. I’m not at my job to compete with someone, bash them, not there to be doing something that is not good for the child just so it’s the opposite what the other person suggested. I feel that every Nanny/Manny should be professional and respectful towards any other person she or he is working with, no matter what. It could get a little heated sometimes, especially when it’s a lot of women with lots of hormones on top of each other, but we are all there to do a good job, and not to start a World War III. As a Nanny, you are first and foremost an example. The way you talk and act says all about you, and tiny little eyes are like scanners, and nothing goes un missed. There is no problem if you are not BFF FOREVER ✌🏼 with someone the family you work for just hired, no problem at all. You also don’t have to agree with everything they say, but you should always be professional. Some characters just don’t match and that is okay. Don’t sweat the small stuff, be yourself, be kind, but also don’t allow anyone to walk over you. Learn to stand for yourself and your knowledge, your wisdom, your millage. You are experienced professional and you know how to do your job. Working alongside someone else can be so amazing and you can make life long friends or just great colleagues. You also get that extra help, so you are not alone for everything, plus because you are not alone, you can provide children with even more activities than you would normally be able to. And sometimes being an only Nanny can be quite lonely, and you realise that the whole day, you only talked with a 1 year old who only says ”bla bla” and ”bu” back. It is really nice to have someone there, that knows exactly how you feel, so If you thinking about working in a team – go for it! Nannies are awesome! I know that, because I am one. I also know so many of them who are more than brilliant and they all deserve pampering once in a blue moon (or a few more time). Most of the time Nannies will give away all energy to the family they work for and sometimes there will be nothing left. When you work long hours, weekends and holidays, you rarely have time to pamper yourself. I am so guilty of that. I will totally forget about me and then really when it’s necessary and I have nothing else to give, I will have to have a little me time. And than I will most enjoy a cup of peppermint tea, with my hair up and my face mask on. It does wonders as I’m sure you know! Since it is NANNY APPRECIATION WEEK, I was thinking of letting you know my favourite things I use for my ‘me’ time, and than since SHARING IS CARING I would like to make sure one of my lovely followers can have a little pampering of their own. So I will GIVE AWAY a care hamper with a few of my favourite products. Here they are. This is my favourite product that are all very flight friendly, easy to transport and they do make such a difference when you need a quick ‘pick me up’. First is NIVEA creme, the staple in my opinion, I never go anywhere without. It’s so universal and inexpensive a real classic. Good for face, nose when you have a cold, lips, body… Really a life saver! Second is my favourite tea brand TEEKANNE! And also my favourite flavour peppermint. When moving around, traveling and just living a life on the go, I always keep a few tea bags in my purse. Tea is like a warm hug at the end of the day when you feel vanished, helps with indigestion and bloating and helps you relax. A winner in my opinion. Third – face masks! I used a lot of drugstore ones, the expensive ones and then I found these. With a recommendation of Ellie Mecham I purchased them and instantly fell in love. I love a good face mask, but not always I’m in a mood or have time to watch if I’m going to wipe my mask somewhere by accident. With SKYN Iceland, I really don’t have to worry. They also feel like a cloudy snowman lay on your face and afterwards your skin does not feel tired or stretched and it’s really nothing else you have to do when you take it of. Fourth is the yummiest lip scrub from LUSH. So natural and smells delicious. Lips can sometimes be forgotten but we still have to give them some love from time to time and I think a nice lip scrubbing goes a long way for healthy lips. Last but not least is foot mask. This one is just one I picked up form Poundland. I had no idea this existed when I was searching for it, but it does, and it makes my life so much easier. Especially when traveling in summer. An this is what I think a quick and efficient pampering session have to include. Of course when I have a little more time, or on holidays there will be a few more products involved, but for a fast recovery on the go this will do the trick. I will pick someone who will follow all the steps to WIN the PAMPERING package (ALL the goodies from the picture and a few surprises). You will find all the details on my INSTAGRAM and I will ship the package worldwide. 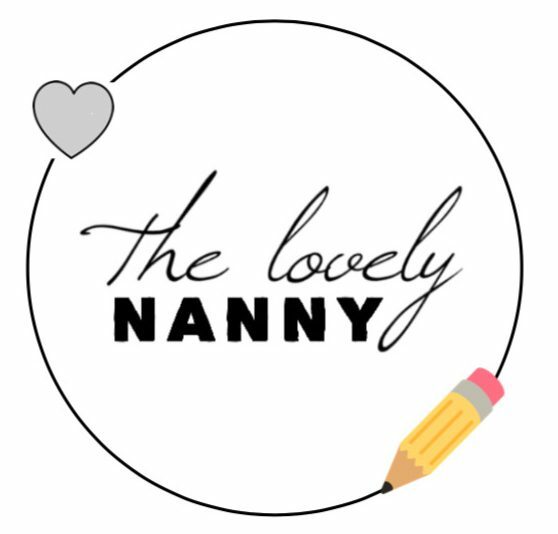 This is not sponsored, and it’s just my way of showing appreciation for all the great Nannies of the world and thank you for reading my blogs, commenting on my posts and sticking around. In hope you all feel appreciated, not just week but all the time! When you have or look after children, the amount of things you need can sometimes be overwhelming, but not to worry. In reality we don’t really need all that much, but there is a few things that are just must haves in every home that has children. I tried gazillion products for children, and I’m sure there is gazillion more waiting for me to try ( and I’m very excited about that!). Some will work for some children and other for other, but I have been lucky to stumble upon a few that work every time, and I really want to share it with you. They are all products you can find on Amazon, or high street shops. I love Witch Doctor, because you can use it for the whole family. It’s perfect for babies starting to crawl, toddlers climbing everywhere, and adults. Works best when you put it on straight away after the bump, burn or graze happened. It feels like cooling gel, and leaves the skin bump, bruise and burn free. It really works! I had a chance to try many amazing and less amazing brands, regarding wipes. There is so many on the market, but not all of them will do a good job. I think great wipes should be easy to pull out of the package without braking in pieces, have to have a little to nothing smell, and have to be free of chemicals, so you can freely wipe down the whole child if needed (and we all know that this is needed sometimes!) 🙂 Well Water Wipes have all that. Check them out! One of the best little gadgets I came across. Cutting children’s nails can be tricky, especially if you don’t have a good clipper, and you can’t see where are you clipping. Accidents can happen, and the last thing you want is your toddler scratching your face down because he refuses to cut his nails. If you start with this one, you will not have a problem since day 1. They come along with this little S shaped file, and an app you can download. Get one here. Just an essential in house with kids, or nursery. When it comes to maintaining toys (especially the teething ones!) and keeping pacifiers clean when out and about, I sweat to this little secret! It is so good! Want to try? I like to take kids out as much as possible, and we all like sandpits. Who doesn’t. That said, kids are playing and next thing you know sand is flying around, very normal, but it also comes really handy when you have a few of this eye wipes stashed in nappy bag just for emergencies like this, and they do happen on a regular. I never go without! Teething is the less pleasant time in baby’s life. Some of them will be semi fine, others will be in pain a lot. I find that these granules help a lot. Depending on the level of pain, but even in the most severe cases, gives a least a few moments of smiles. And they are homeopathic. Get them for your baby! Please let me know, either here or on Instagram, what do you thing about the products if you are using them, or have use them in the past. Would be great to hear any positive experience. Or maybe you have your own product that are must haves? I would love to know! I’ve been busy lately, and have been lacking on this blog, which I love, and I actually started, to write real things about childcare in general. There is so many aspects of THE JOB, whether you are a Nanny, Childminder, Early years teacher or something else, but the core is the same. This has been on my mind quite a lot recently, and it would be interesting to see whether you have any comments on the topic. I’m an Early years teacher by degree, but I have been a Nanny for a while now. So I will mainly focus on what it is like to be a Nanny ( superpower human who is trying to rise tiny humans as the best versions of themselves). I’m so surprised how so many times when I say I’m a Nanny, a lot of people will say “Oh you’re a babysitter?” or ” How nice you can play with children for your job” and other degrading comments. I often find defending myself with saying “I do have a degree in Early years education” like if being a Nanny is something everyone can do, and I’m just doing it because I don’t want to have a ‘serious’ job. I wish more people would understand what really do I do every single day at my job. It is certainly true, mostly anyone can be a Nanny, but it takes a special kind of magic to collide and become ” The Lovely Nanny “. This post might be a wee long, but I’m really passionate about what I do, and this is what I think every Nanny should be or do. While every day making sure toys are organised and cleaned regularly, clothes are organised by size and washed, bedrooms are tidy, diaries updated and filled in, meals cooked, parents updated on every new achievement and play area and kitchen cleared by the end of the day. Being a Nanny is one of the best jobs in the whole world. As working with children with not only give you a lot of satisfaction but will also challenge you to be a better human yourself. Seeing the whole undamaged potential in a small person is a huge responsibility that you can’t take lightly. Being a Nanny is one step further from being a parent during the day, and saying goodnight at the end. Being a Nanny is having your heart filled with love, every time you catch a cheeky smile. It’s also explaining WHY, and being patient when putting on shoes. It’s also the times when you have to say no 34 times and be consistent while doing 10 other things. It’s running in parks, and going down slides, it’s saying well done, and giving high 5. Being a Nanny means never to cross the street on the red light and go out during the week, but it also means I get cuddles every day and ‘I’ll miss you’ when I leave for the weekend. And if you’re really lucky you can see them grow up. Let’s be honest. Most of the days you will probably need some paracetamol, lots of coffee, waterproof shoes, glitter, sun cream, vitamins, phone with really good internet, some chocolate and the will of steel. And some days will be all rainbows and butterfly’s. Planning activities can be stressful, takes time and sometimes we get lost in what we can do with tiny humans to keep them entertained. Planned activities will ensure children learn and have fun, while also meeting their development milestones. It really does not have to be that hard. If you go by this rule you can make up an activity on the spot. Let see how it goes. I would always recommend that you do activities that are interesting to your tiny humans (if they have a special interest, like space, you can source activities from that and around that. Like learning colours ~ you can learn in through planets. If you would like, I can put up a few more examples? Please do let me know in the comments down below what do you think about the activity steps, if they helped you, or how do you plan your activities? Hello again! It’s been a while, but non the less, here I am. So summer is here, schools are almost finished, kindergartens closed, and what to do with all the tiny humans with too much energy? You can teach them how to rollerblade, or better jet, if they already know, go put them on and have some fun! When I was teaching in kindergarten I would organise sports days, when children would bring their bikes and rollerblades in and we would make a day out of it. I would do a little program, where we would first practice the basics and than have a competition where we would all cheer each other on. Seeing happy faces was the biggest prize I’ve got at the end. To the day, these are one of my best memories from my teaching life. Not only that rollerblading it’s fun, it also has many benefits to it and I’ll tell you why. It is a great base for learning how to ski in the winter, while having fun all summer. There is a lot of similar movement that you can connect to skiing, but also just practising and gaining stability and posture, will give a great base for introducing skiing for the first time, as tiny humans will feel more confident straight away. Overall faster muscle development than running or bicycling, rollerblading builds upper leg muscles, while gaining balance and control necessary to maintain the upright position, builds up strength and endurance. It is a low impact cardio exercise, with less stress placed on your joints and muscles, but most of all- IT’S FUN!! That said, not only children can have a blast, it is a perfect exercise for adults as well, especially if you suffer from joint problems. Hope you’ll have a perfect start of the summer!